Based near the beautiful seaside town of Plettenberg Bay in the heart of the Garden Route on the Western Cape, our Elephant Care and Research project is dedicated to providing a home to elephants, ensuring they have an improved environment, healthy diet, enrichment and access to veterinary care. The research team monitor and observe the elephants who live at the park, collecting research to support improvements in both captive elephant welfare and assisting in research for wild elephant management. However, the fantastic care the local team provide is not strictly limited to elephants! The centre also has a herd of zebra who call this place home and once a week, the local team and volunteers take part in checks to ensure there are no areas of concern. The zebras roam freely on the park and are not under constant observation, so volunteers and staff check that everyone is present and healthy, and record any changes in herd structure as well as any new four-legged arrivals! Speaking of new arrivals, the latest addition to the family arrived at the end of October and despite a difficult start, has shown great tenacity which has made her a real hit amongst staff and volunteer alike! 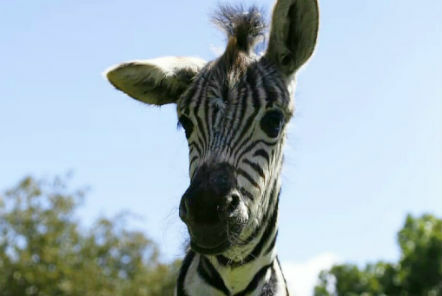 Baby Mala was born healthy and happy to resident Zebra Mica but unfortunately, she was rejected after Mica was “stolen” by a rival male who didn't allow Mica to look after her foal from another father. When the local team stepped in to provide care for Mala, she was very scared, hungry and covered in wounds – at just 4 days old, the local team knew they needed to work quickly to ensure she was going to recover from her traumatic start. Fast forward two weeks and Mala is a completely different zebra! She has developed into a feisty little zebra with lots of energy and a huge appetite thanks to the care and support of staff and volunteers at the project. We hope to see more updates on how she is getting on – what great work!